Current Caller ID (Android) ~ Android Forever! Developer Quote: "ID unknown calls & texts, enhance Caller ID with Facebook, Twitter and LinkedIn. 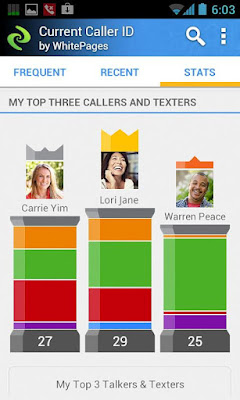 Get Call, Text and Social ID all in one app with Current Caller ID by WhitePages!" Check out this excellent entry in the race for the best caller ID app available for Android! It IDs your incoming calls and texts pulling from a database of more than 300 million homes and businesses, as well as your own social networks. 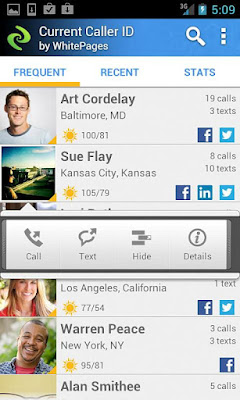 - One app manages all your calls and texts and contacts with Frequent and Recent lists. Current Caller ID is FREE on Google play!